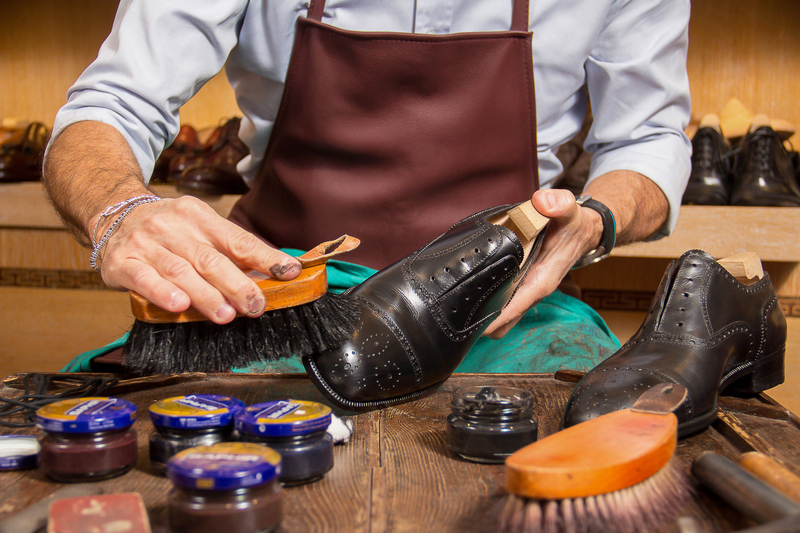 We reveal some useful steps to take care of men’s shoes and keep them at their best. Remove the shoelaces to prevent getting polish on them. Insert a shoe tree or stuff the toe of your shoe with paper. This will give you a firm surface to work on. Clean off dust and dirt with a clean rag. HOW TO CHOOSE THE PERFECT POLISH. Be sure to match the polish to the colour of your shoe’s leather as closely as possible. Use a coloured shoe polish composed of beeswax. Spread the cream polish to the shoe surface and let the cream sit for a few minutes. Add a dab of polish onto a wool polishing cloth. Apply your cream polish to the shoe surface with circular motions. Untie your shoelaces everytime you take your shoes off. We also recommend to use wooden shoe tree. Place the shoe tree inside your footwear right after taking it off to preserve the shape. Don’t forget to polish and clean your shoes. Bring with you a travel shoe care kit, easy to buy anywhere. Kit normally includes brush, cream polish, and microfiber cloth. 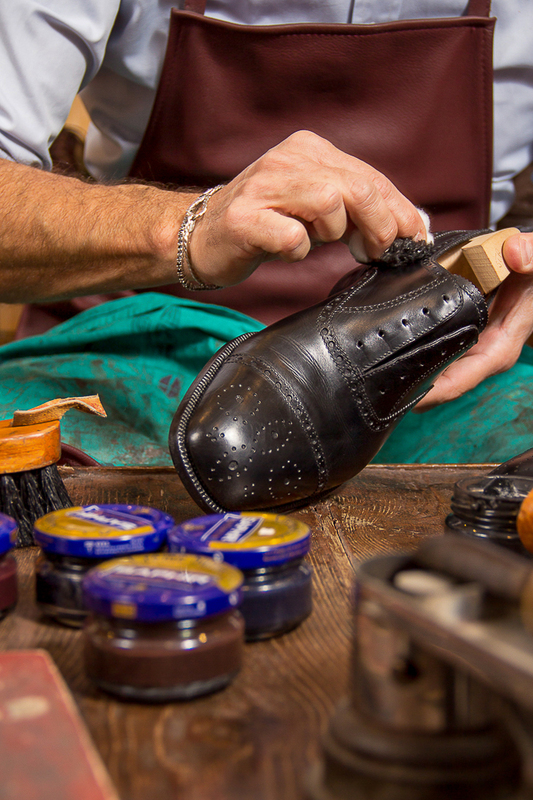 It’s important to replace or repairing soles if damaged. Never wear new shoes for hours and for two days in a row. HOW TO PUT SHOES ON? USE A SHOE HORN! It is very easy to ensure the durability of men's shoes. Simply take care to gently put them on and take them off, using a shoehorn and your hand, respectively. HOW TO DRY WET SHOES. Turn the shoes on their sides (never sole down). Do not pull out a hair dryer or place them near a heater, just wait until your shoes are dry.